A few weeks ago, a lovely lady from Dr Oetker contacted me and asked me if I would like to feature a post using their products. I already use a few of their decorations so thought it would be lovely to try some more so naturally I said yes. I have been away for a week with work and on returning yesterday, I had a lovely package sat waiting for me. There was a selection of chocolate, sprinkles, writing icing and baking powders so I got thinking about what I could make. 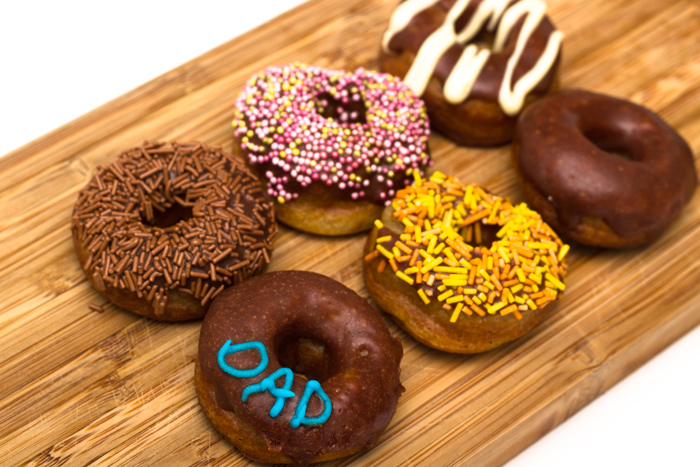 And with it being Fathers Day tomorrow I decided on some mini baked doughnuts with a chocolate glaze, covered in various toppings….A perfect gift! And seeing as I’m still pretty exhausted from organising an event for 500 this was perfect as the recipe is very quick and easy. This recipe was adapted from Leelabean Cakes. Spray a doughnut pan lightly with cake release spray and set aside. In a small saucepan, heat the water, salt, butter, and vanilla until boiling. While this is coming to a boil, whisk the flour, sugar, cinnamon, and nutmeg together. Once boiling, take the saucepan off the heat and add the flour and sugar mix into the pan. Using a wooden spoon, mix vigorously until it comes together and no lumps remain. The mixture will be very thick. Spoon all the dough into a ziploc or piping bag. Snip off the bottom (the hole on the bottom of the bag should be about 1/3″ – 1/2″ in diameter). Pipe the dough into the doughnut pan. 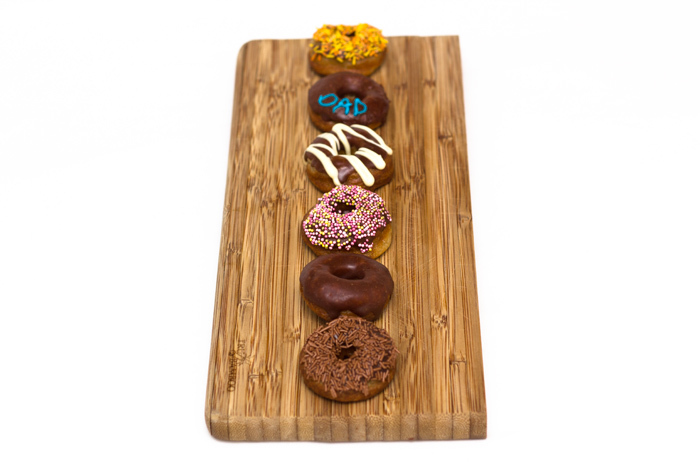 Using some water and your finger, you can smooth the tops of the doughnuts if there are any points sticking up or unevenness. Bake for around 20 minutes or until the tops get lightly browned. Take them out of the oven and let them rest for about 10 minutes. 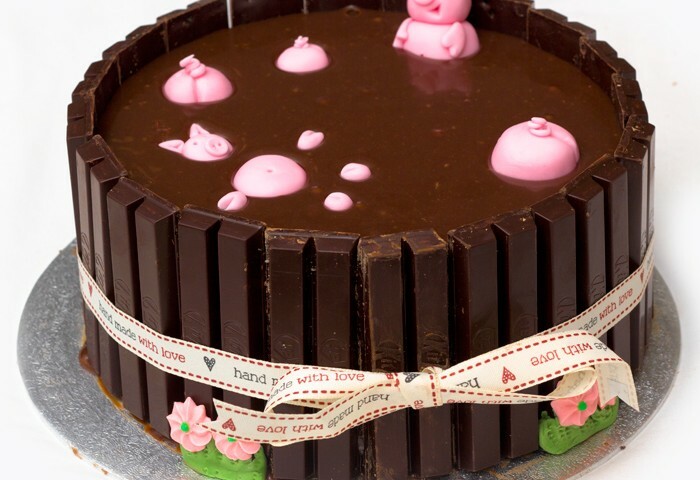 The cake release spray is amazing for these – they slide out of the pan with absolutely no mess! 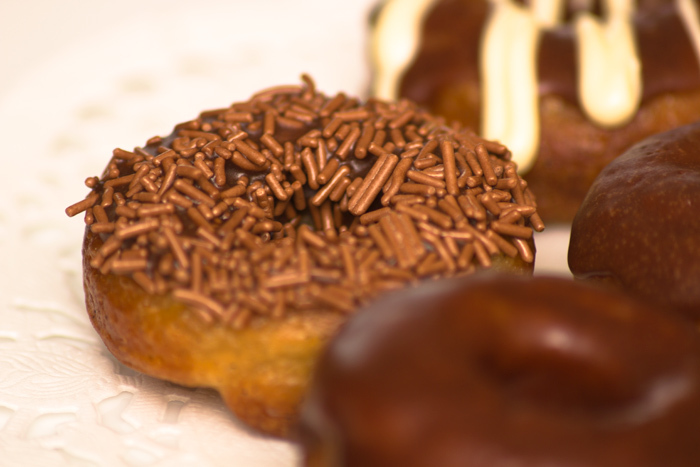 While the doughnuts are baking, make your chocolate glaze. Let the chocolate glaze cool for about 15 minutes to allow it to thicken slightly. And that’s all there is to it! 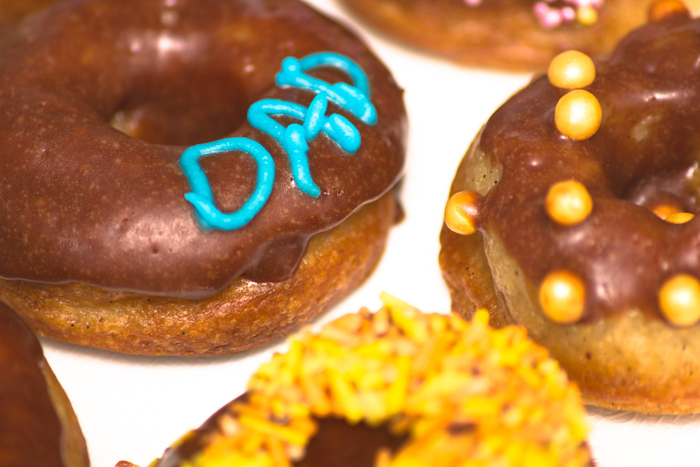 So go out today, buy a doughnut pan and make some fresh doughnuts for your dad tomorrow! I can guarantee they won’t last long! 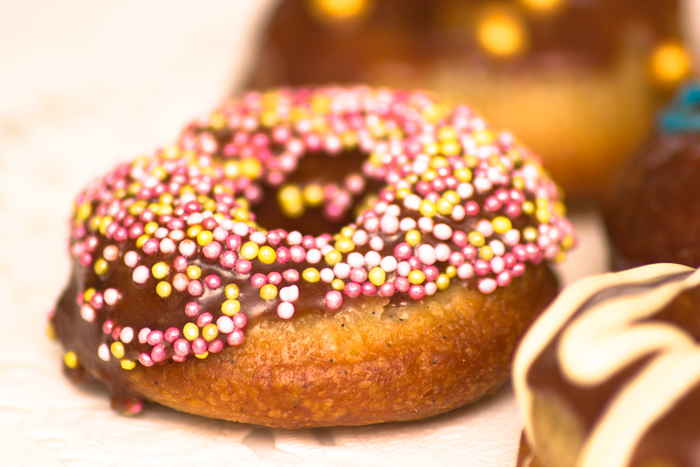 You could also make regular sized doughnuts using this recipe – they may just need to cook for a little while longer.